In hot conditions, Galen Rupp won his eighth successive 10,000m title at the US Olympic trials at Hayward Field in 27:55.04 ahead of Shadrack Kipchirchir (28:01.52) and Leonard Korir (28:16.97). 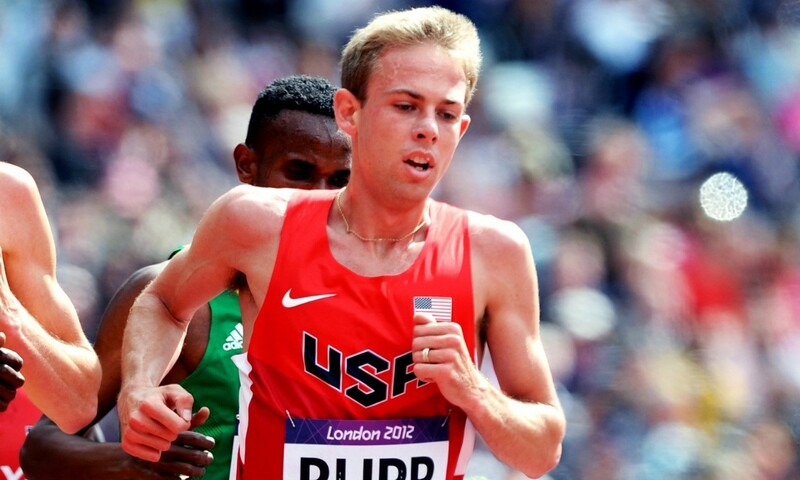 Rupp will also contest the 5000m later this week and will decide if he will contest the 5000m/10,000m or 10,000m/marathon double in Rio after the event. Some of the big names struggled in the conditions: Hassan Mead, Eric Jenkins and Bernard Lagat all recorded DNFs but the latter has said he will come back to contest the 5000m. Ryan Crouser upset Joe Kovacs in the shot put with his winning second round throw of a 22.11m PB but the world champion came close in the sixth round with 21.95m. Darrell Hill was a surprise third in 21.63m, with big names Ryan Whiting (20.89m), Reese Hoffa (20.61m) and Adam Nelson (20.17m) fourth, fifth and seventh respectively. Courtney Okolo (50.78), Phyllis Francis (50.81) and Francena McCorory (50.94) were the fastest in the 400m heats but Sanya Richards-Ross won’t defend her title in Rio after pulling up injured. David Verburg was the fastest in the men’s 400m heats with 45.31 with LaShawn Merritt (45.54) and Jeremy Wariner (45.88) also qualifying for the semi-finals. World indoor champion Boris Berian front ran to the fastest time in the 800m heats (1:46.03) but Donavan Brazier (1:48.13) and Duane Solomon (1:48.71) were among the casualties. Molly Ludlow was fastest in the women’s 800m heats in 2:00.30. Brittney Reese led long jump qualifying with a wind-assisted 7.01m. Reese Hoffa is considering retirement after finishing fifth in the Olympic trials. “I’m going to take a couple of days to digest it, but I’m thinking this might be it,” said the 2007 world shot put champion. Paul Tanui confirmed his place on the Kenyan 10,000m team for the Olympic Games with victory in the Olympic trials in 27:46.15 ahead of the relatively unheralded Charles Muneria (27:57.07 PB) and Wilfred Kimitei (28:12.22). There were some big name casualties with favourites Bedan Karoki and Geoffrey Kamworor both failing to finish with the latter blaming a stitch for his DNF. There was another shock in the 800m with Alfred Kipketer (1:43.73 life-time best) and Ferguson Rotich (1:44.05) taking first and second with world record-holder David Rudisha only narrowly confirming his place on the team in third in 1:44.23 ahead of world leader Nicholas Kipkoech (1:44.47). Vivian Cheruiyot followed up her 10,000m win with victory in the 5000m in 15:01.60, comfortably ahead of Hellen Obiri (15:13.45) and Mercy Cherono (15:25.51). Margaret Wambui clocked a fast 1:58.27 to beat Eunice Sum (1:59.63) in the 800m while Faith Kipyegon was the runaway winner in the 1500m in 4:06.71 ahead of Nancy Chepkwemoi (4:10.00). World champion Hyvin Kiyeng claimed the steeplechase title in 9:28.33 while there was a collective effort in the men’s final with Brimin Kipruto (8:27.68) ahead of Conseslus Kipruto (8:27.86) and Ezekiel Kemboi (8:27.95) but Jairus Birech was a DNF and won’t make the team. Asbel Kiprop made his third Olympic team by winning the 1500m in 3:38.21 ahead of Elijah Manangoi (3:38.48) and Ronald Kwemoi (3:38.80) with Silas Kiplagat only seventh in 3:41.32. Elsewhere, there were wins for Alphas Kishoyan (44.96) and Boniface Mucheru (48.89) in the 400m flat and hurdles respectively with world champion Nicholas Bett a no-show in the latter. World champion Julius Yego won the javelin with 81.04m.